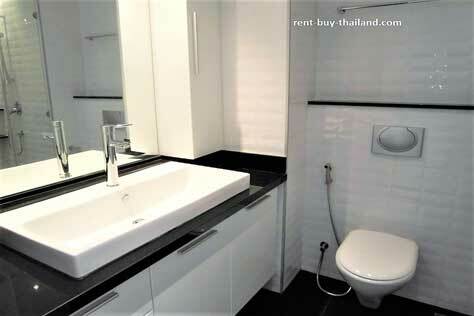 Rental Price 16,000 - 24,000 Thai Baht per month depending on season and length of stay. This is a fantastic large, 25th floor, stylishly fully furnished, luxury studio apartment that is ready for you to move in to. The fully refurbished condo consists of an open plan living/kitchen/sleeping area, a bathroom and a balcony with spectacular sea views. The kitchen area is of a modern European style and is fully equipped with utensils, pots, & pans and cutlery; as well as having an oven, electric hob, extractor fan, kettle, toaster, microwave and refrigerator. There is also a breakfast bar with stools and access to the balcony, which includes balcony furniture, via large sliding doors. The good sized living / sleeping area has a double bed, good storage facilities including a built in double wardrobe, drawers, and bedside tables. There is also a leather sofa, coffee table, display units, two flat screen TV's and DVD player. The modern bathroom, which is fully tiled and finished to a high standard, features a large basin unit, with storage underneath and a large walk in shower. The apartment also benefits from a feature ceiling with dimmer lighting, along with marble flooring, curtains, down lighting, air conditioning and a ceiling fan. In addition, the apartment boasts a superior sea view from the balcony, which also faces towards Pattaya city allowing you a fantastic view of the town itself. The scenic island of Koh Larn can also be seen just off Pattaya's coastline. Enjoy the spectacular sunsets from your luxury apartment! View Talay Pattaya Condominium No 8 is a very well maintained complex in Jomtien and located directly on Jomtien Beach so provides spectacular sea views from its 30 floors. The complex benefits from numerous facilities for residents to benefit from, including: a communal swimming pool, fitness center, playground/children's area, a garden/BBQ area, 24 hour security, CCTV, electronic key card system, resident parking, elevators, car rental, travel agent, laundry, massage parlor, mini mart, bars, restaurants and free WiFi. 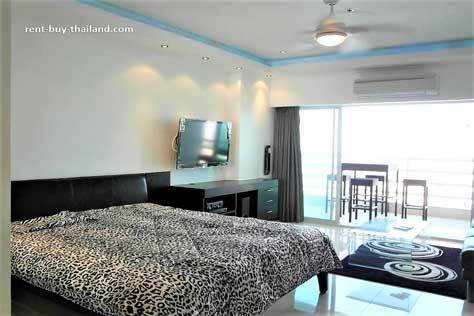 View Talay 8 condo for rent or rent to buy with an easy payment plans - no credit check needed. 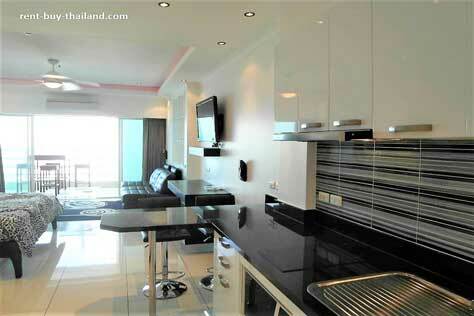 Other View Talay condo for sale available, please inquire for further details.